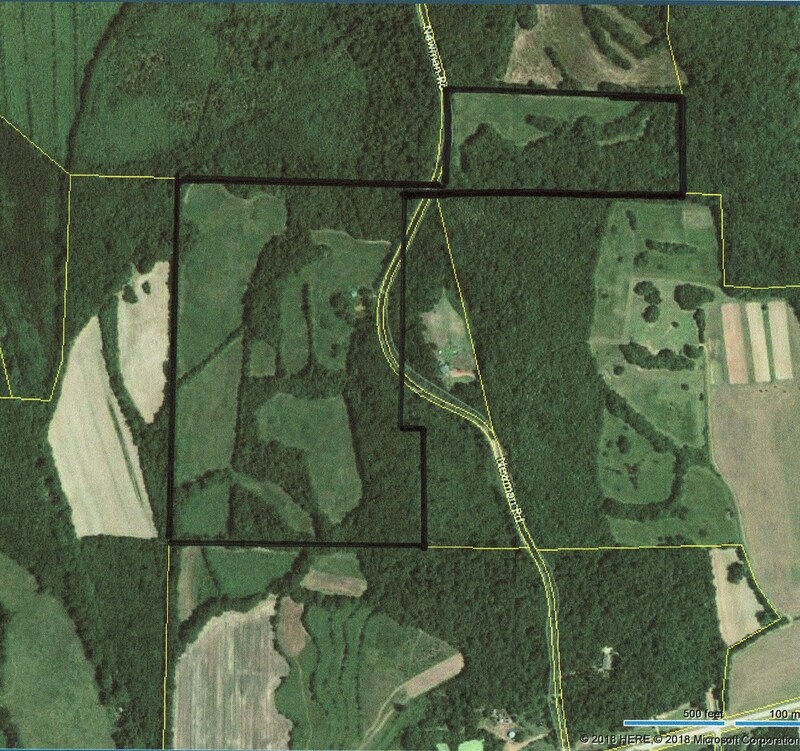 525 NEWMAN RD- 64 Acre+/- of Tennessee Land For Sale in Hardin County, TN with No Restrictions. Take a Gander at this Perfectly Balanced Piece of Country Real Estate that has an almost equal balance of Open Fields and Hardwood Timber as well as a Nice Year Round Spring on the property that turns into a small creek running through that portion of the property. Great Whitetail Deer & Turkey Hunting! Horses & Cattle welcome to make this property an ideal Equine or Livestock Farm. There is also a small home on the front of the property that hasn’t been inhabited for several years, but could be fixed up. The Land Lays Very Well and there are several Great Building Sites. There is City Water already on the property that is ran to the small house and there is an extra electric pole for a Camper/RV Hook-Up. Approximately 14 Acres of the Land is on the opposite side of the road. It has good building sites as well as Open Land and Timber Land. The whole Property has approximately 30 Acres of Timberland with Large Hardwoods including White Oak, Red Oak, and Just about any other Tennessee Hardwood Tree with a few Pine mixed in. The open fields are scattered throughout the property making for a Great Layout to the property and EXCELLENT DEER & TURKEY HUNTING. This truly is a Great Hunting Property if that is what you are looking for. This Property is located approximately 5 Miles from the Gorgeous Tennessee River and one of the best Boat Ramps into the River in our area. If you are looking for an almost perfect piece of property, then give us a call and let's make it yours!